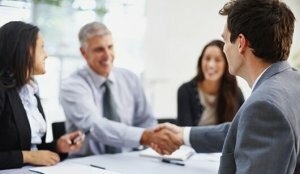 If you’re in a dispute with your employer or are going through a redundancy process you may be offered a settlement agreement. Can you be sure the agreement is fair? Have you been offered sufficient compensation for the loss of your job? Our specialist employment solicitors at DPH Legal are experts at providing advice on settlement agreements. We are often referred to as one of the most highly recommended solicitors Reading for employment advice. We also have established offices in High Wycombe, Oxford and Swindon and have advised individuals throughout the country on hundreds of settlement agreements. A settlement agreement is a legally binding agreement created after the termination of your employment. It usually provides for a severance payment made to you by your employer, in return for which you agree not to pursue any claim you may have at an Employment Tribunal. In order for the settlement agreement to be binding you will need to take advice from a qualified employment lawyer. In the vast majority of cases your employer will cover all our charges for advising on the settlement agreement. This means you pay us nothing. No extra costs are incurred without your prior approval. How quickly can we deal with it? A qualified employment lawyer will provide advice on your settlement agreement on the same day we receive it. This advice can be over the telephone, or in a ‘face to face’ meeting at our offices, or at a location in or around Reading, whichever is most convenient to you. Have you been offered a settlement agreement in connection with your employment? We have successfully secured significant increases in pay-outs for numerous clients on the sums originally offered in their settlement agreements. See our Testimonials page for examples of satisfied clients. All of our solicitors can assist with advising you on the terms of your settlement agreement. Call us on 0118 914 5622 or complete our Contact Us Form to arrange a confidential call back from a qualified solicitor without charge. We can be contacted 24 hours a day. © 2019 DPH Legal. DPH Legal is a trading name of DPH Legal Ltd (Company Number 07474761).